Ryan Stephenson: One of God’s challenges to us is to see past the surface. Ryan Stephenson: To the deeper essential nature, which lies right beneath. 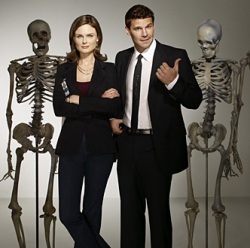 Special Agent Seeley Booth: You believe our bodies are like dustcovers? Ryan Stephenson: That’s exactly what I think, Agent Booth. Rip them off, and see what’s underneath… You see, all this time I though my father was killed, or had abandoned me, and that’s just not what happened. He didn’t want to shake my faith. He was protecting me from the truth. He… he didn’t want me to have to choose between him and God, and I love my father for that. I just hope God can forgive me for making him feel that way.